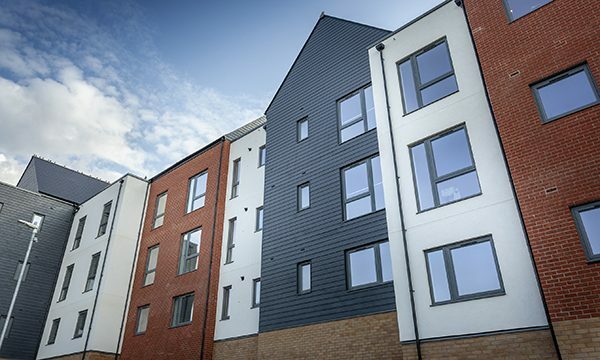 Profile 22’s Optima windows were chosen for the construction of 18 houses, 38 flats and two retail units as part of a regeneration scheme in Maidstone, Kent. Housing association Golding Homes has invested £50m in a three phase regeneration project to transform and improve the former Park Wood estate in Maidstone. 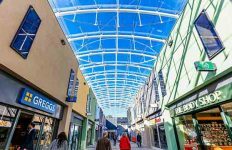 The scheme involved providing over 200 new homes, mainly family houses, as well as new community facilities including new shops, and a much wider package of investment to improve the local area. Education, housing and healthcare contractor Rydon secured the £9.3m contract to deliver the third and final phase of the project, which involved building 18 houses, 38 flats and two retail units. 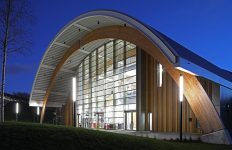 When it came to the windows and doors on the project, Rydon turned to longstanding supplier Feature Architectural Fabrications, based in Eastbourne, East Sussex. 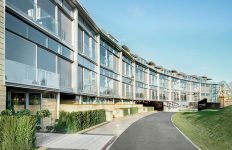 Optima from Profile 22 is rapidly becoming one of the most widely specified commercial system thanks to its compelling list of benefits that help specifiers meet even the most demanding of requirements. The system delivers optimal thermal performance, achieving a 1.2 W/m2K U-value as standard, with U-values as low as 0.8 W/m2K possible. It is PAS24 compliant as standard with Secured by Design options available as well. In its aesthetics and versatility, it sits comfortably in any architectural style. Feature worked closely with fabricator Framexpress and Profile 22 at every stage of the project. Profile 22’s specification team supported Feature with the technical information Rydon required, including U value calculations. The Framexpress team liaised closely with Feature and Profile 22 to deliver products on schedule and ensure deadlines were met. 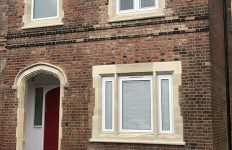 The Optima windows sit perfectly in the overall design and Paul is delighted with the results.